The golf instructors at Golf Science Center perform golf swing analysis and golf instruction using the latest technology, the High Definition golf™ curved screen 3d simulators. 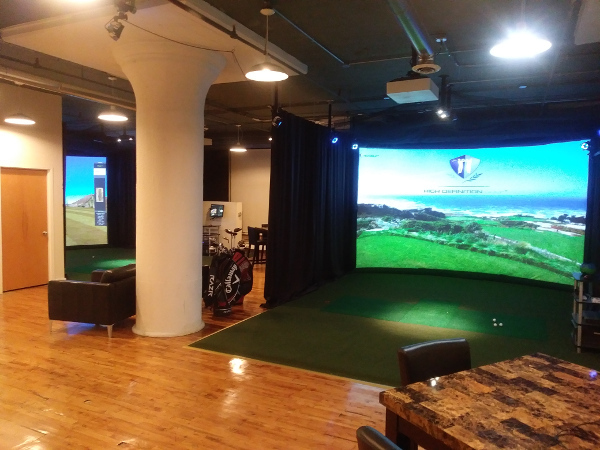 You can also practice or play a round of golf at a world class course.Inclement weather is never an issue at our indoor golf center located at 211 North 13th Street in center city Philadelphia, Pa.
We are open from 10:00 AM to 10:00 PM. Call (215) 279-7835 for a tee time or to schedule a lesson. The instructors at Golf Science Center analyze your swing using the High Definition Golf™ Simulators and the V1 Pro Golf Video Analysis System. The Golf Science Center Professional Golf Instruction Studio includes a suite of comprehensive diagnostic tools and precise shot analysis that can analyze every part of a golfers swing in real-time. Individual or Group lessons are available at or indoor range with our Golf Instructor. The goal of the teaching system is to present golf as a progressive set of workable challenges to the beginning players while also being broad enough to differentiate the smallest variations on the champion player. GEARS Golf is a full swing club and body tracking system used by PGA pros, club fitters, and club manufacturers to measure and analyze every nuance of a swing, in full 3D, from address to follow-through. 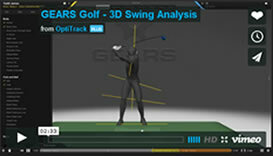 Built on the same technology used by biomechanists and filmmakers, GEARS is the most advanced motion capture solution developed specifically for golf. Golf Science Center is open for rounds of golf and driving range practice from 10 AM to 10 PM everyday. Lessons are available on Monday thru Saturday. Gift Certificates are available for all services provided by Golf Science Center. Please call the facility at (215) 279-7835. 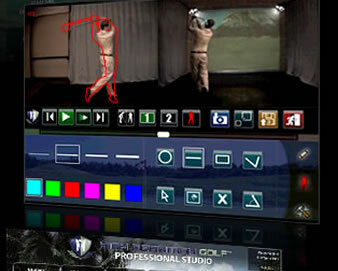 Access the HD Golf® Video Locker here.